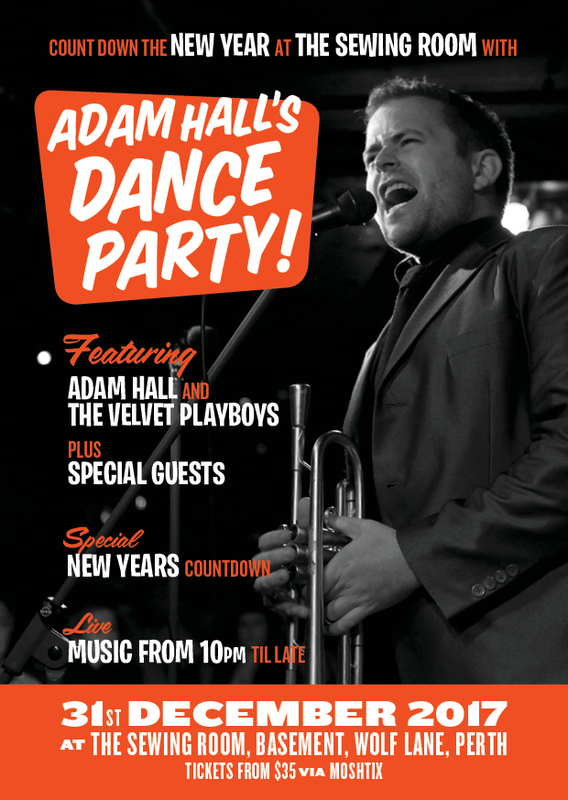 Adam Hall and the Velvet Playboys New Years Eve Featuring Special guests and a Special Countdown. This dance party will feature discounts for groups of 6 or more so bring your friends. A Huge New Years Eve Party at the Sewing Room! Right in the centre of town, Party central presented by the Award Winning Adam Hall and the Velvet Playboys. The amazing repertoire such as "Supersition", "The way you make me feel", "Let's get it on", “All about that bass”, “Bootylicious” and many more other classic hits will have you dancing in the aisles. Where : Sewing Room Perth, doors 8pm, music 9pm.